Handwashing is a critical element in proper hygiene as germs can stay alive on hands for up to 3 hours. As regulatory enforcement and requests for washing options increases, CALLAHEAD® Corporation yet again solves your sanitation needs with The Wash Basin®. The U.S. Center for Disease Control and Prevention has concluded that hand washing is the single most important means of preventing the spread of infection. So whether it's a job site or special event, you will need (or you may even be required!) to provide a handwashing capability, which makes the Wash Basin® your answer. 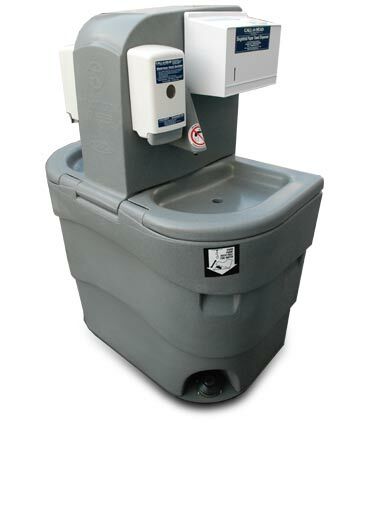 CALLAHEAD®’s Wash Basin® arrives fully equipped with a filled fresh water tank with built-in soap and paper towel dispensers for your convenience. The Wash Basin® also has a separate holding tank into which the gray water is discharged for excellent hygiene. The Wash Basin® is simple and effective which features a foot pedal for an immediate stream of fresh water to the user. Users will appreciate the function, design, and improved sanitation offered by the Wash Basin®. 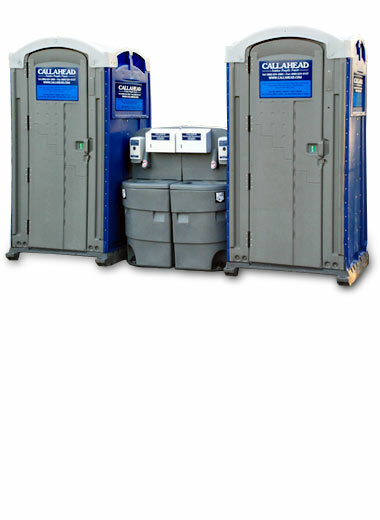 To ensure use of the Wash Basin® it is best placed in close proximity to CALLAHEAD®’s portable toilets for easy access and a healthier job site or event. Each Wash Basin® is maintained by CALLAHEAD® Corporation which gives you the quality and reassurance that your job site or special event is a sanitary one. THE WASH BASIN - Large Sink Basin! THE WASH BASIN - Everything you Need!